GOP Sen. Lindsey Graham of South Carolina downplayed the possibility of nominating Acting Attorney General Matthew Whitaker to permanently lead the Department of Justice, telling NBC News Sunday that better alternatives are available. 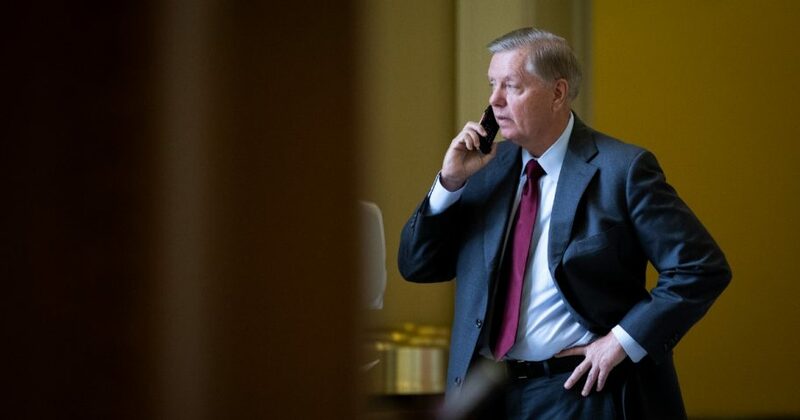 Graham’s remarks are especially significant because he will likely chair the Senate Judiciary Committee when the new Congress is seated in January.The attorney general nominee will appear for confirmation hearings before the Judiciary Committee. The panel’s current chairman, GOP Sen. Chuck Grassley of Iowa, is slated to lead the powerful Senate Finance Committee. “I was very impressed with his attitude, his professionalism, and he’s got a very solid resume,” Graham said elsewhere in the interview, while acknowledging that Whitaker’s past political statements and business ventures would make his confirmation an unlikely proposition. Whitaker’s installment as acting AG has been challenged in several venues, including the U.S. Supreme Court. Though the Justice Department’s Office of Legal Counsel issued an advisory opinion vindicating the Whitaker appointment, some legal authorities believe that Deputy Attorney General Rod Rosenstein is the rightful Acting AG. Aside from Barr, others thought to be in contention to succeed former AG Jeff Sessions are Florida Attorney General Pam Bondi; former New Jersey Gov. Chris Christie; and Judge Janice Rogers Brown, who recently departed the U.S. Court of Appeals for the D.C. Circuit. President Donald Trump raised eyebrows during his Nov. 14 interview with The Daily Caller, when he referenced curtailing special counsel Robert Mueller’s investigation when asked about the Whitaker appointment. “It’s something that should have never been brought,” Trump told TheDC. The president’s comments concerning Senate confirmation refer to some legal authorities who say that only a Senate-confirmed official may serve as attorney general.